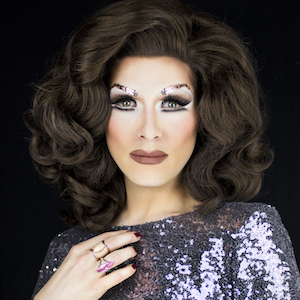 Vanity von Glow is one of London’s leading cabaret stars, and spent 10 years at the top as a singer, pianist and comic whose shows have taken her across Europe and seen her perform alongside the likes of Adele, Lily Allen, Sophie Ellis Bextor, Tim Minchin and more. In the age-old tradition of drag her comedy can cut close to the bone, often winding up the hypersensitive with observations like ‘consent is a social construct’. Framing comedy as an antidote, not the cause of the world’s problems, the diva has been outspoken in her defence of free speech and the right to offend. In 2018, she came under fire for performing at free-speech rally, the Day For Freedom, after which she was targeted by a largely successful campaign to have her bookings cancelled in venues nationwide and in Ireland. Vanity spent the summer defying the would-be censors with performances at free-thinking stand-up night Comedy Unleashed, selling out her own solo show at the Camden Underworld, and tearing up the stage at the legendary Suicide Circus in Berlin.